Clay Aiken – The Best Is Yet To Come! I predict we get some Clay-news…SOON!!! I bet it’s not about BEETS – but what do I know! While we wait……lets celebrate New Years!! 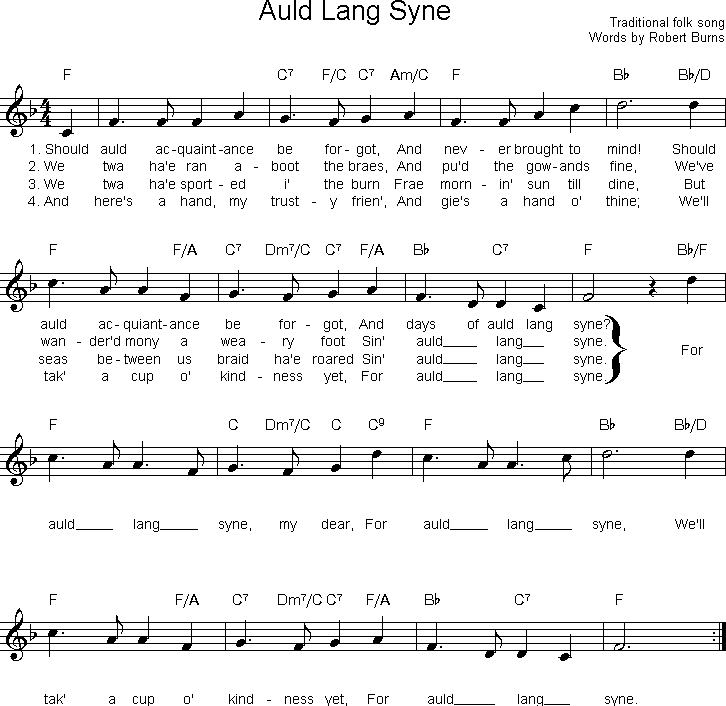 The most commonly sung song for English-speakers on New Year’s eve, “Auld Lang Syne” is an old Scottish song that was first published by the poet Robert Burns in the 1796 edition of the book, Scots Musical Museum. Burns transcribed it (and made some refinements to the lyrics) after he heard it sung by an old man from the Ayrshire area of Scotland, Burns’s homeland. ……..that a raisin dropped in a glass of fresh champagne will bounce up and down continuously from the bottom of the glass to the top. ……..to many Americans, the ball dropping at Times Square in New York City signals the start of the new year in this country. The ball was first dropped in 1908. …….Noisemaking and fireworks on New Year’s eve are believed to have originated in ancient times when noise and fire were thought to dispel evil spirits and bring good luck. The Chinese are credited with inventing fireworks and use them to spectacular effect in their New Years Celebration. …….The tradition of making of New Year’s resolutions dates back to the early Babylonians. Popular modern resolutions usually include the promise to lose weight or quit smoking. The early Babylonian’s most popular resolution was to return borrowed farm equipment. …….The Tournament of Roses Parade dates back to 1886. In that year, members of the Valley Hunt Club decorated their carriages with flowers. It celebrated the ripening of the orange crop in California. and to all our readers! had not ever seen these! I do believe The Best is Yet To Come! "A Healthy and Happy New Year" to you and all Clay fans everywhere! 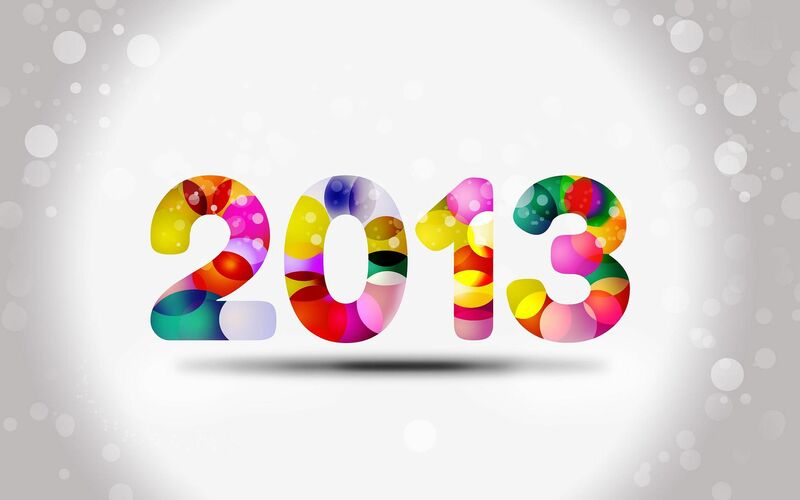 Happy New Year, musicfan! I thoroughly enjoyed this informative and fun issue. I do send this to three fans in other parts of the world. Thanks for all that you do. Happy New Years everyone! Hoping we all have a wonderful year and some Clay News would be fantastic. I hope this is his year. happy new year!!! cant wait to see what Clay has is store for us in 2013!!! 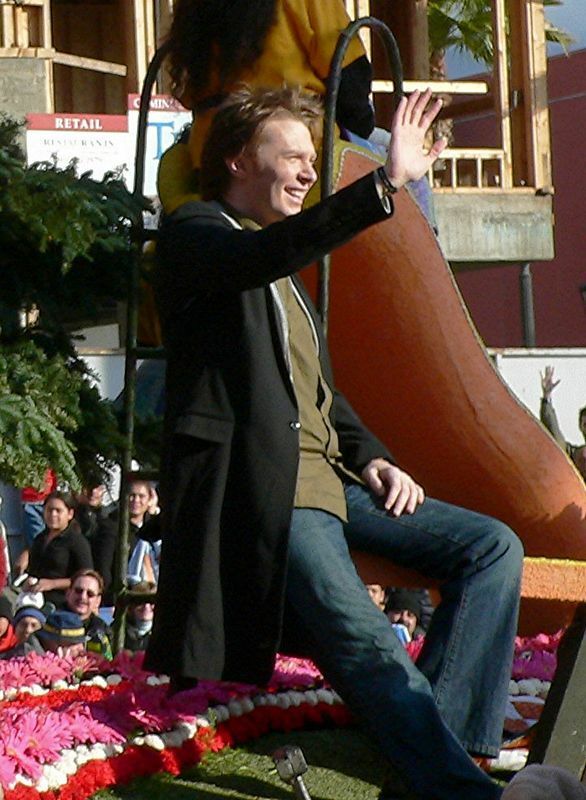 I recall watching the Rose Parade the year that Clay was on this float. The station I had on showed the opposite side of the float, and I missed seeing Clay. We all look forward to a year of news from and about Clay. This will be year 4 for CANN. My thanks to you, Musicfan, for your dedication to keep us up on all thinks Clay. Happy New Year Clay and Clay fans!!!! Here's hoping we hear some fantastic news about Clay!!! Excellent blog/article today and believe it or not, I really did know most of those little facts you shared. In fact, I ate a traditional southern lunch (black eyed peas w/hamhock, fried hog jowl slices, cabbage and cornbread! YUMMY) Happy New Years to you and to all the Clayfans I've met and hopefully will have the great joy of meeting in the future! Can't wait to hear from Clay aging, maybe another Live Chat, please please. Error: Error validating access token: Session has expired on Tuesday, 21-Aug-18 16:13:01 PDT. The current time is Thursday, 25-Apr-19 19:12:43 PDT.